Homesteader, home-brewer, & organic gardener. Hubby, papa, & proud pogonotropher. I work at SXSW. 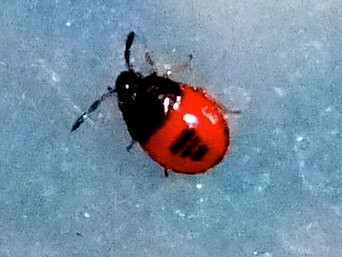 Can you help identify this bug? It's not in my 'Handbook of Natural Insects and Disease Control'. Click through to FLICKR to see all the plants tagged. Awesome photos! Thank you for joining us - look forward to hearing more. HA! love your new profile pic! thanks so much for commenting on my blog... :) i really like your photos on here. is that a brew club you belong to here? do you brew in town? my hubby used to brew and we are talking about gearing up for it again! Hi Michael - I'm baaaack! Thank you for taking such good care of the place while I was gone - not a single tumbleweed to be found :) I'll go vote on your awesome sink now! Emerald Coast Beerfest in Pensacola Friday night. I'm gonna enjoy a few brews!!! Thanks Michael, Looking forward to sharing great gardening "secrets" with ya! Hi Michael! I saw your green rabbit hutch roof last summer and made a similar design on my chicken coop. I was wondering how yours has held up? OUrs is framed with 2x4's so it is kind of shallow. We grew some radishes in it which did okay for a while but the wind and sun left it pretty dry in the late summer. What type of plants did you grow in yours? Have you made any modifications? THanks for any input, your backyard is looking great--and the homebrew looks delicious! Hi Michael, totally new to this homegrown thing, I found you through a google search for tobacco, it would seem that you're one of the few people in this whole city that has grown tobacco and put something out on the internet about it. I'd love to meet up with you sometime if you ever have the time, I'm about to start growing myself! Either way, it looks like you've been up to some really cool stuff. Way to go! Swat Teams Raid US Farms, Destroy Food with Bleach and kill Livestock! Started this discussion. Last reply by michael Aug 6, 2009.